One of the biggest questions students have when transferring to a university is how to begin. However, most universities have a staff to help prospective students transfer to their schools. They can help with scholarship deadlines, degree plans and financial aid, Shelby Holloway, a transfer admissions counselor at the University of North Texas, said in an email to The Courier. Patrick Jackson, assistant director for university recruitment at The University of Texas at Arlington, said he suggests students begin the transfer process a year in advance. “That provides the student ample time to equip themselves with the knowledge necessary to be successful when they transfer,” Jackson said in an email to The Courier. Once students decide where they want to transfer, the next step is to talk with their academic adviser and contact a transfer adviser from a university, Laura Ahumada, senior academic adviser at Brookhaven College, said. “It is important that students plan their coursework carefully to ensure they are able to meet their academic goals at both schools,” Ryan Slack, director of transfer enrollment at The University of Texas at Dallas, said in an email to The Courier. After visiting career and transfer centers, Holloway said she suggests looking into transfer guides. “This will assure students that the courses they are completing at their community college are equivalent to the courses they need at the university they are interested in transferring to,” she said. Ahumada said nothing bad happens if a student does not complete core credits before transferring. “They just need to meet that specific institution’s core requirement when they get to the university,” she said. The core curriculum differs from state to state. A student who plans on transferring to the University of Alabama does not need Texas Government, she said. Texas students who complete the state’s Core Curriculum, with a 2.0 GPA or higher, are guaranteed to have their courses transfer as a block credit to any Texas public college or university, according to dcccd.edu. Successful completion of the Core Curriculum satisfies general education requirements. Some universities may still have classes they require in addition to core courses, Ahumada said. The price tag of a four-year university’s tuition might turn some students away, but students have access to scholarships, financial aid and grants to help lower the costs. 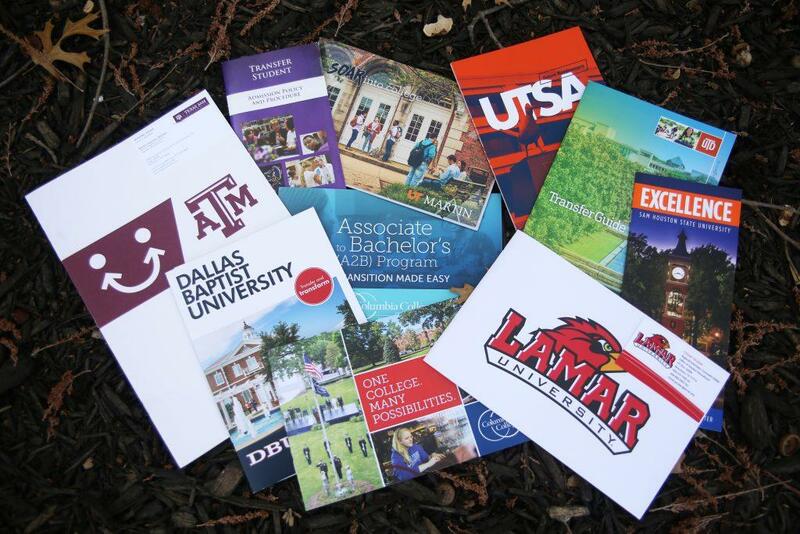 “Schools have a lot of money out there for transfer students that is not being given out because students aren’t applying for them,” Erin Wimberly, admissions counselor at Texas Woman’s University, said in an email to The Courier.